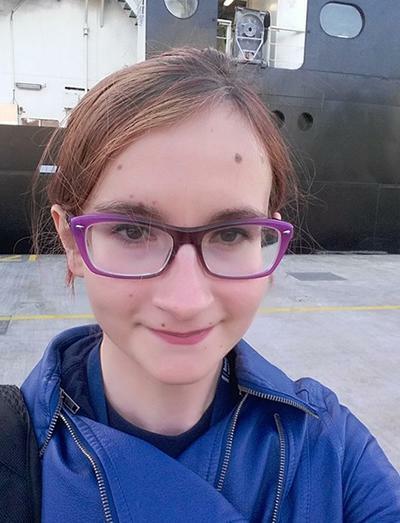 Ms Sarah Alewijnse is a postgraduate research student within Ocean and Earth Science, National Oceanography Centre Southampton at the University of Southampton. 2017 – Present: PhD student at the University of Southampton and the Natural History Museum London. 2013-2017: MSci Marine Biology: Dissertation title: “Stable isotope analysis of the eye lenses of two deep-sea shark species: Centroscymnus coelolepis and Centrophorus squamosus”. 2017: Laboratory Assistant at the Biological Sciences Department, University of Southampton. 2016: Research Intern at the Sea Watch Foundation. Research project: Is metabolic rate a red herring for investigating the effects of climate change on fishes?